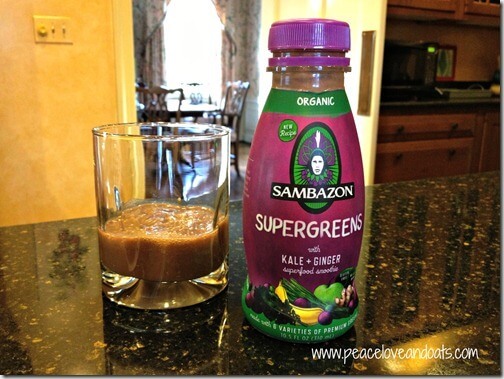 Home » Law Life » Sambazon Smoothies GIVEAWAY! Guess where I’m going today?! You have no idea how excited I am. Seriously. Some amazing things will be involved: ice hockey, Van Gogh, a rodeo, a three-legged cat and soooo much more. AH! Haha okay, enough of that. I have a product review for you all today, but before I get to that I wanted to share something that a fellow blogger sent me yesterday! Taylor is a personal trainer and blogger living in Charleston, SC and she messaged me yesterday about a very interesting fundraiser she’s doing! She’ll be running in a Color Me Rad Race, in her wedding dress! WHAT? Yes. She’s running in her wedding dress and trying to raise $1,000 for the Special Olympics. She explains her decision and how you can help her reach her goal on her blog. Check it out! 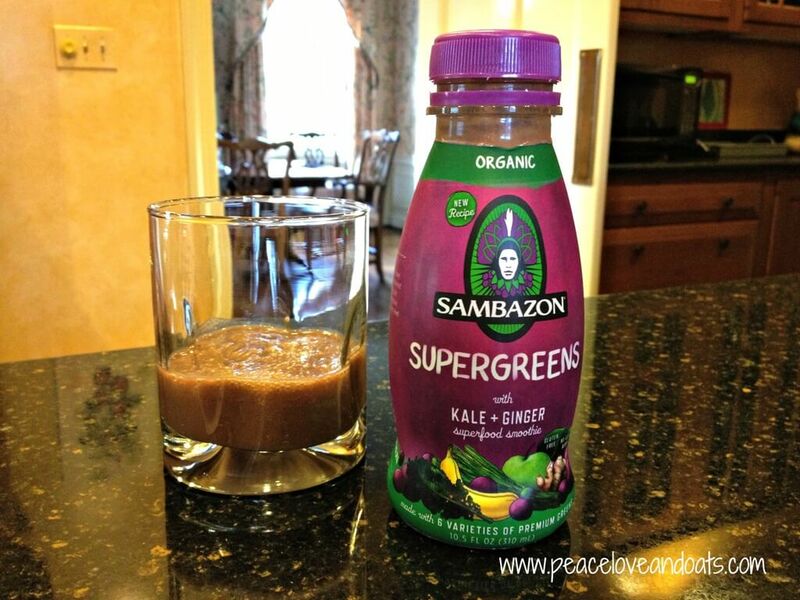 A little while ago, Sambazon sent me some coupons to try out their new smoothies! I’d seen them in Whole Foods before but never purchased one. 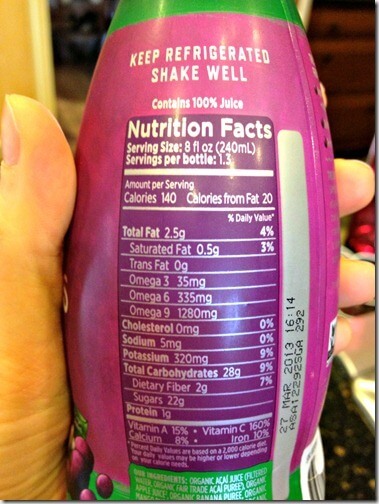 I don’t regularly buy smoothie drinks like this because I’d rather eat my fruit and veggies, but I thought this would be perfect for days when I wasn’t feeling great and needed to get in some nutrition, or if I was in a rush! It may look gross, but it actually tasted great! There was plenty of sweetness in there, but not TOO much. I really liked it! 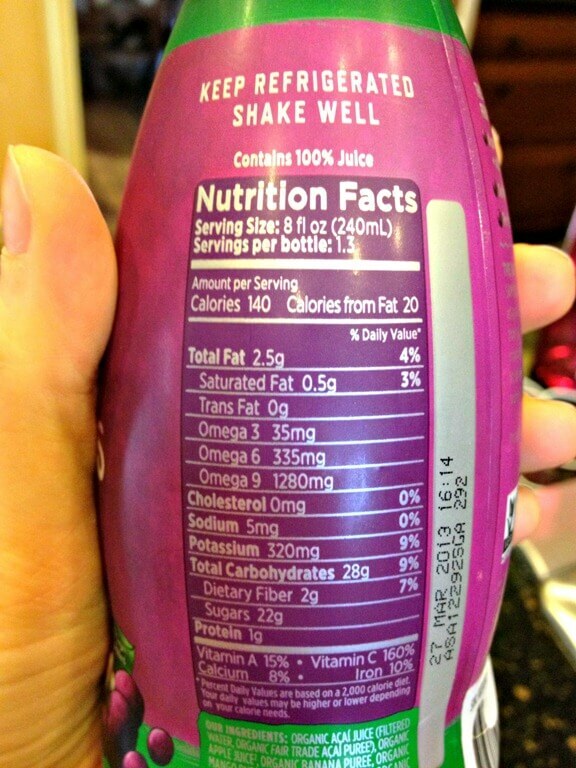 Each bottle has 1.3 servings, which I thought was a bit odd? But I’ll take it. 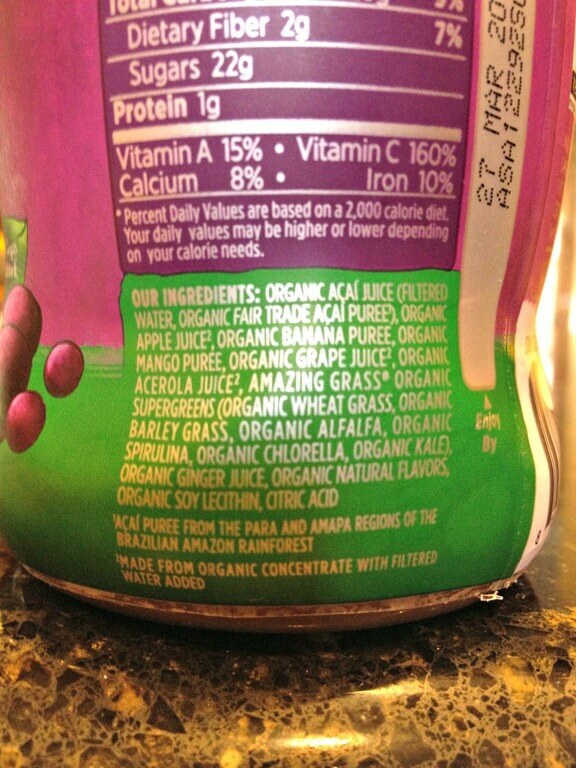 And a great ingredients list! Nothing scary!! 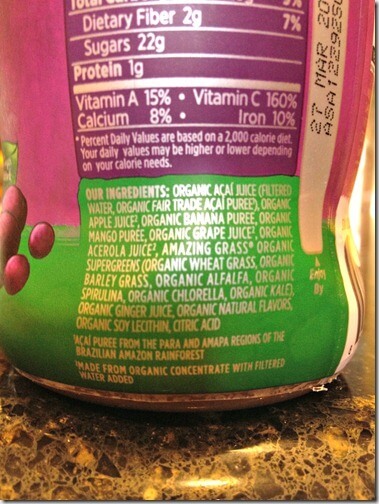 Like all Sambazon products, both smoothies are USDA Organic, Non-GMO Project Verified, Ecocert Fair Trade, vegan and gluten free, and make a healthy, delicious snack or light meal replacement to grab on-the-go. 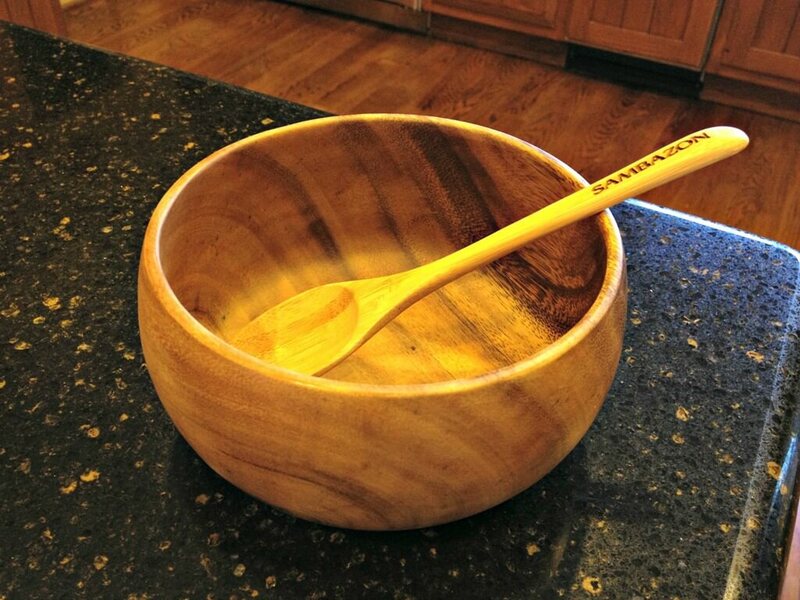 They also sent me this cool wooden bowl and spoon! Since I was at home I let my mom keep it, she really liked it! Want to try their smoothies too? Well you can! 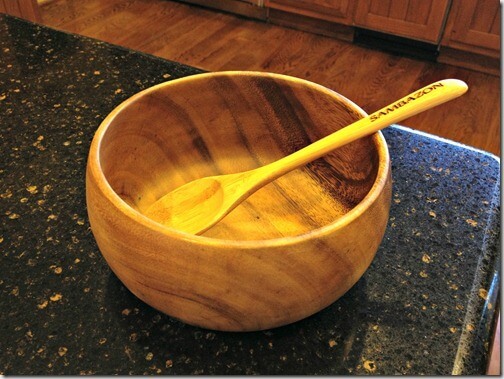 Sambazon will send ONE lucky winner coupons to buy their smoothies, plus the wooden bowl and spoon! To enter, complete the following, leaving a separate comment for each! Giveaway will end Monday, January 14th at 11pm central time. Open to U.S. Residents only.